These bios were current at the time of the award. Gabriel Santamaria is currently completing his senior coursework at UC Berkeley, earning degrees in Public Health, with Honors, and in Molecular and Cell Biology. As a Nicaraguan refugee raised in predominantly immigrant and Latino communities, he has first-hand experience with the consequences of both environmental and structural inequalities. In order to mitigate such disparities in health and justice, his goal is to earn an MD-DrPh to further his capacity as a leader in community health while directly serving patients. In this spirit, in 2012 he and a group of UCSF-PRIME participants co-founded Youth Creating Change which two years later developed into a stand-alone non-profit organization, San Francisco Youth Coalition. While the organization strives to be a community of peers, Gabriel serves as director. With the support of community and academic institutional partners, the organization addresses issues such as violence prevention, leadership development, cultural affirmation, and civic engagement, while increasing access to higher education. Alejandra León Herrera is a junior at UC Berkeley majoring in Political Science with a focus on International Relations. She is a first-generation college student and daughter of two hard-working parents who work from sun-up to sun-down to provide for their family. Her family migrated from Mexico to the United States when she was five years old in search of a better life and more opportunities. Since 2010, she has been volunteering to provide opportunities to children and youth with disabilities in rural Jalisco, Mexico, with “Mi Futuro Esta En Tus Manos”/”My Future Is In Your Hands.” The informal organization raises funds and provides support to children with disabilities and their families. 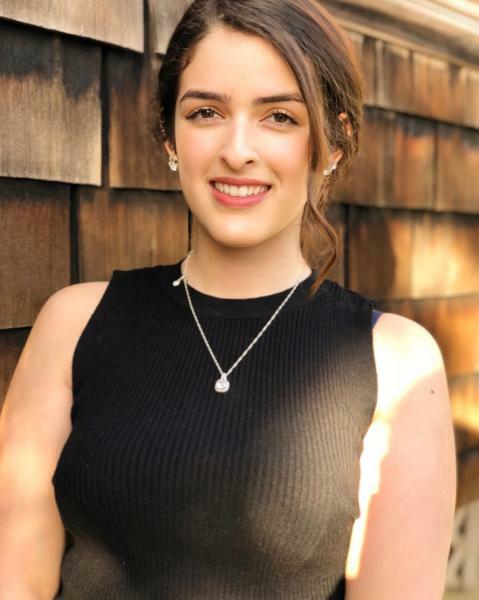 She just wrapped up an 11-month internship with Governor Gavin Newsom, and this summer she is hoping to work in Washington D.C. at the Brennan Center for Justice to become more involved in areas of social justice. 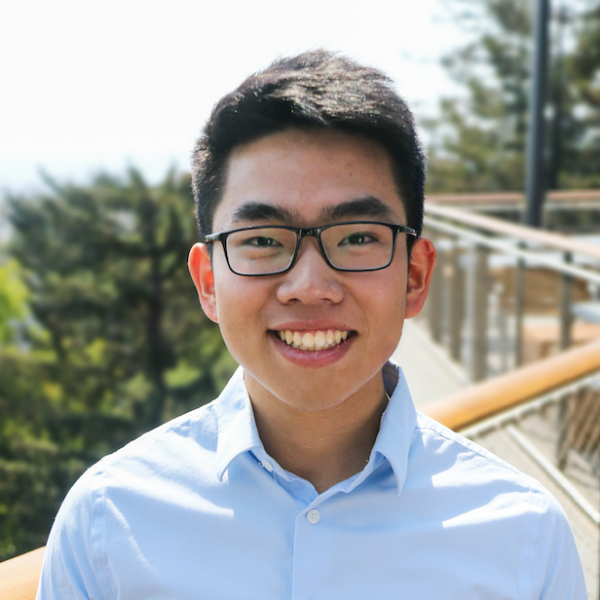 Nolan Pokpongkiat is a third-year Computer Science major at UC Berkeley. Working as an emergency medical technician in the summer of 2017, he noticed a lack of diversity in the healthcare workforce. After raising $18,000 from Kaiser Permanente, Gilead Sciences, and the Big Ideas Social Entrepreneurship Competition, Nolan co-founded Helix, a non-profit organization with the goal of diversifying the healthcare field by empowering young people to pursue futures in medicine. 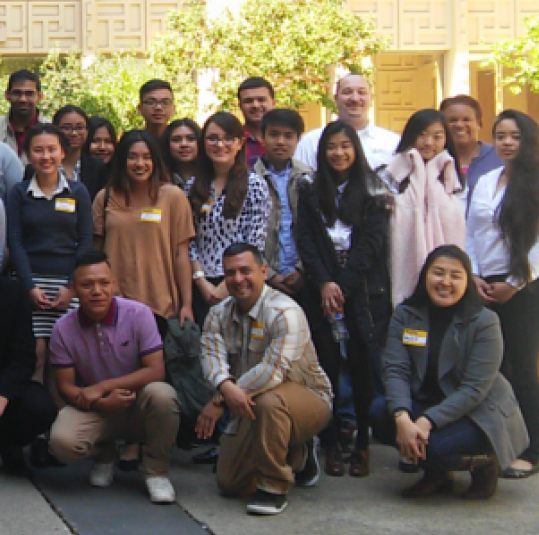 As Managing Director, Nolan brought together a team to design a month-long summer program where high school students spend a week living at UC Berkeley training in basic clinical skills, getting CPR-certified, and learning about possible healthcare careers. Then, through partnerships with UCSF Health, John Muir Health, and Kaiser Permanente, along with a network of over 160 medical professionals, students rotate through shadowing placements in the hospital, on the ambulance, and in community clinics for the remainder of the month. Rassidatou Konate is a third year Public Health major and Global Poverty and Practice minor at the University of California, Berkeley. Her passion for entrepreneurship pushed her to use her experience as a graduate of the African Leadership Academy to launch the Iwili Project in 2016. The Iwili Project is a youth led initiative aimed at developing youth entrepreneurship in Burkina Faso. As Executive Director, Rassidatou designed the year-long program for high school and university students and leads the incubation camps, the mentorship and internship, and the competition through which the best teams among those trained receive funding to launch their enterprises. At the high school level, the project leads to the creation of entrepreneurship clubs that carry out community projects to improve the lives of street kids in Burkina Faso. 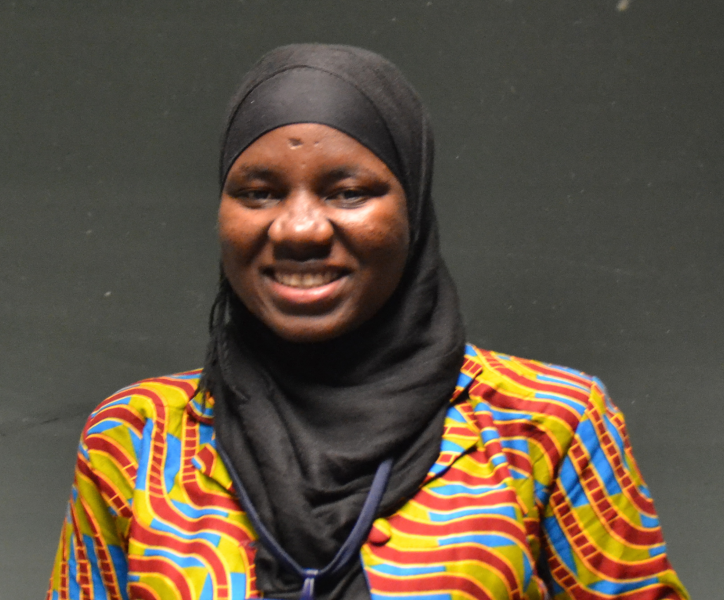 A Resolution Project Fellow and a Global Social Venture Challenge semi finalist, Rassidatou is on a mission to develop entrepreneurial thought and action among Burkinabe youth and to improve maternal and child health in her country through entrepreneurship. For the past three years, Marisa L. Ahmed has led CREATE (Creative Residencies for Emerging Artists Teaching Empowerment) – an organization that brings visual art, theater, dance, and creative writing classes to after-school programs in Berkeley and Oakland public schools. She increased organization recruitment by 40%, member retention by 60%, and class offerings by 30% in order to reach over 300 students at seven sites. Marisa raised over $8000 through grants to pilot CREATE’s Mentorship Program to 1) help teachers design their classrooms with the goal to empower students to express their unique voice through the arts and 2) establish infrastructure that will continue to fulfill CREATE’s mission to disrupt preconceptions and conventional methods of thought by teaching arts and the creative thinking process. Marisa will graduate from UC Berkeley in Spring 2018 as a Cognitive Science major and Food Systems minor. 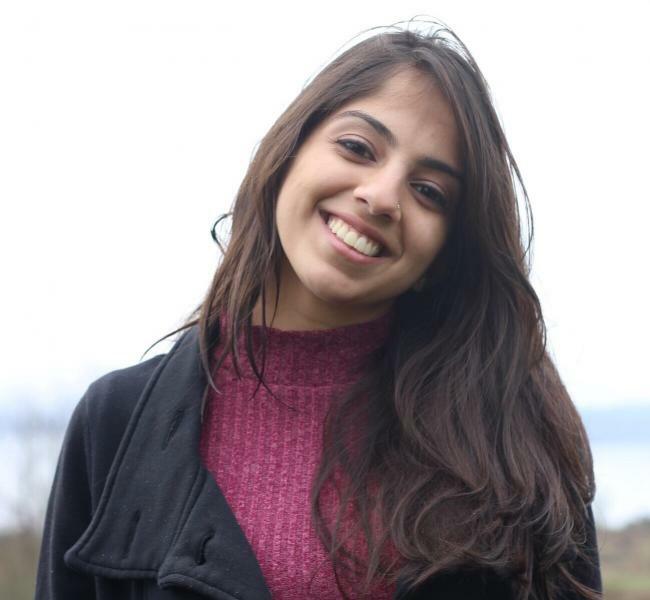 Alankrita Dayal is pursuing majors in Computer Science and Business Administration and minors in Public Policy and South Asian Studies at UC Berkeley. In 2014, after winning two national grants and announcing her Clinton Global Initiative America Commitment to Action, Alankrita founded Program Your Future (PUF) as a series of year-round programs to educate and empower Bay Area young girls. Since then, as the Executive Director of PUF, she has expanded her efforts to organize large-scale engineering programs -- ranging from academic bootcamps, hacker academies, leadership training programs, and internships/fellowships to diversity panels, hands-on fieldtrips, and robotics for good competitions. Through her unique curriculum and partnerships, Alankrita has designed her programs to inspire and educate over 500 underrepresented students (i.e. low-income, students of color, English Language Learners, disabled) interested in pursuing computer science careers across the Bay Area. Yvonne Dorantes is a UC Berkeley graduating senior majoring in Political Science with a minor in Conservation and Resource Studies. A beneficiary of the Migrant Education Program (MEP) as a child, Yvonne has worked to give back to MEP and promote youth advocacy and education more broadly. 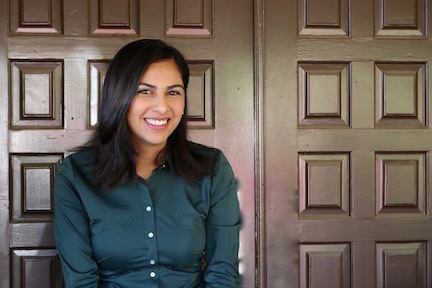 She volunteered as a MEP tutor in high school and then when she was selected as a Matsui Local Government Fellow, she returned to her community as an intern in Assemblymember Anna Caballero’s district office in the Salinas Valley. As the Young Legislators Program Coordinator, she recruited and trained 40 students (many from MEP). Yvonne has been a college advisor with the Pre-College TRIO Programs for nearly three years. Among her many other community service and leadership activities, she is currently a Haas Public Service Leader, working with 150 high school students at Oakland Tech High School. She has developed her own curriculum to educate them on environmental issues, policy and justice. Dylan Bush is a Latin American Studies major and pre-med student at UC Berkeley. He is the Coordinator of the Youth Empowerment Program (YEP), an ongoing project to connect Cal students with Latinx youth from Oakland. In collaboration with the Central American Refugee Committee (CRECE), Dylan developed a new YEP project in the fall of 2015, Domingo de Desarollo, to promote education and health to children ages 4-12 and their parents. The project leverages an existing free soccer program and adds a community meal and interactive lesson in Spanish to reach over 300 people, with many participating regularly. 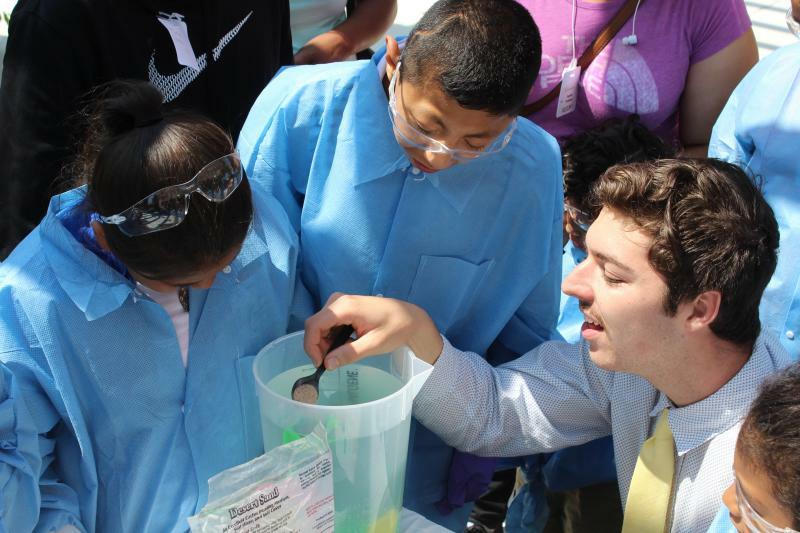 Dylan has one more year at UC Berkeley and is working to ensure the sustainability of Domingo de Desarollo. He has already raised over $1700 for next year and is finalizing a longer-term industry sponsorship. 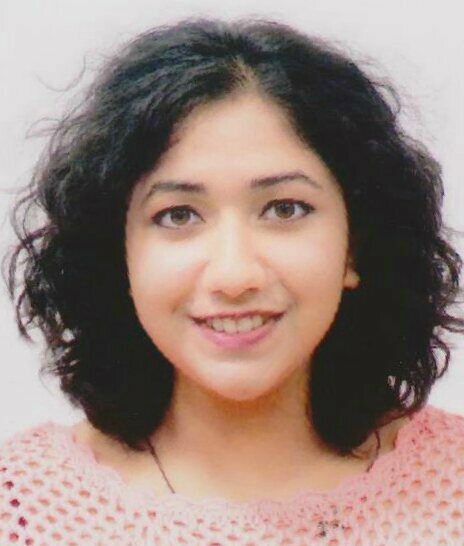 Ankita Joshi is a Mechanical Engineering major at UC Berkeley and Co-Founder and CEO of Māk, a social venture whose mission is to empower urban youth to become designers and innovators. Māk’s goal is to provide youth with STEAM (Science, Technology, Engineering, Art, Math) and 3D design skills by connecting them to college students through a training program followed by internships. Māk began as a pilot program for 10 students at Oakland Technical High School in the fall of 2016 and carried out a successful crowd-funding campaign to offer the training to more students next year as an afterschool program. 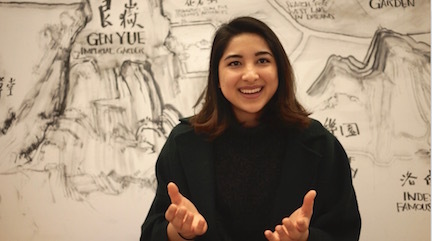 Ankita is graduating in May; she and her team of other Cal students have plans to expand to other schools and makerspaces in the coming year and to build connections to offer more internships to youth who complete the training.